With the Law Offices of Michael A. Haber, P.A., you get personal service and attention from Michael Haber, a Miami Criminal Defense Attorney. He handles all aspects of your case and has many resources for non-criminal legal issues. Andrew Parks began his career as a prosecutor for the Broward County State Attorney’s Office. 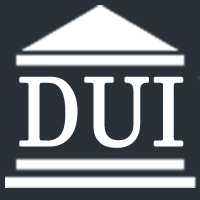 After leaving the State Attorney’s Office, he worked for, and eventually became the youngest lawyer to become a partner at the law firm of Essen & Essen et al, which focused on defending those charged with DUI and criminal offenses. Jordan Redavid is one of the best criminal lawyers in Miami. He is an unwavering advocate well known for his abilities both in the courtroom and his legal writing. Ever dedicated to the art of persuasion, he has made a career out of developing and employing creative litigation strategies to achieve desired results for his clients.